You may need to have all your invoices and credit notes certified if you’re based in France and have an online store using WooCommerce. Why must invoices and credit notes be certified? How can I ensure I’m in good standing? Charlotte Mason revolutionized education 100 years ago and is still having an impact today, especially in homeschooling. A British educator from the late 1800s, she left an impressive legacy in the form of extensively documented materials for home education. 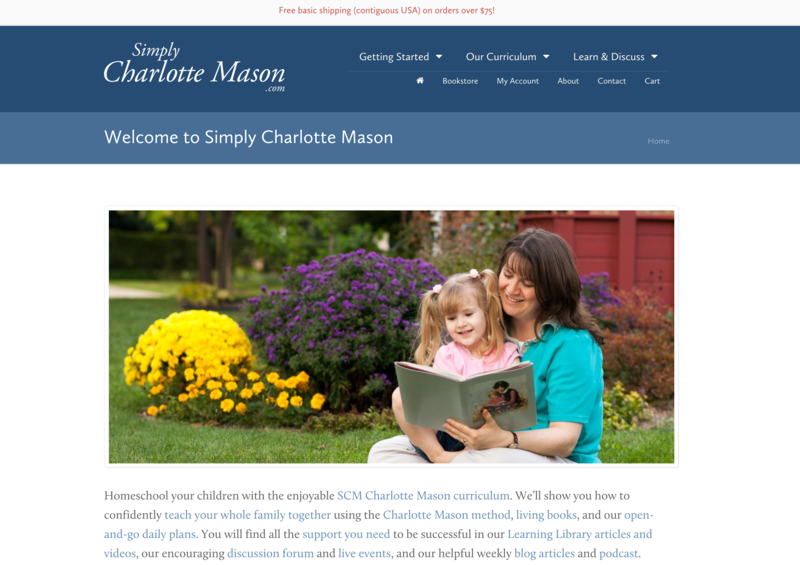 I think Charlotte Mason would have loved simplycharlottemason.com, the passion project of two homeschooling families and an online hub for homeschooling books, lesson plans, discussion forums, and more. In a nutshell, the openness and flexibility of WooCommerce enabled two homeschooling families to build a thriving online bookstore and subscription business that impacts both their local community and thousands of families worldwide. Their vision is far greater than selling books and the bottom line. I spoke with Doug, one of the site’s founders and the person who built and maintains the site. Read on for the full story, including the list of extensions and plugins that power their store. We’ve written in the past about how WooCommerce can be used for unique store setups — memberships, nonprofits, subscriptions and more. But a lot of you choose Woo because it’s a great platform for a simple store selling physical goods. WooCommerce gives you a fantastic way to start selling and shipping your products fast, no matter what you sell or where you want to sell them. Sometimes, though, you might need a few more tools to take your store to the next level. 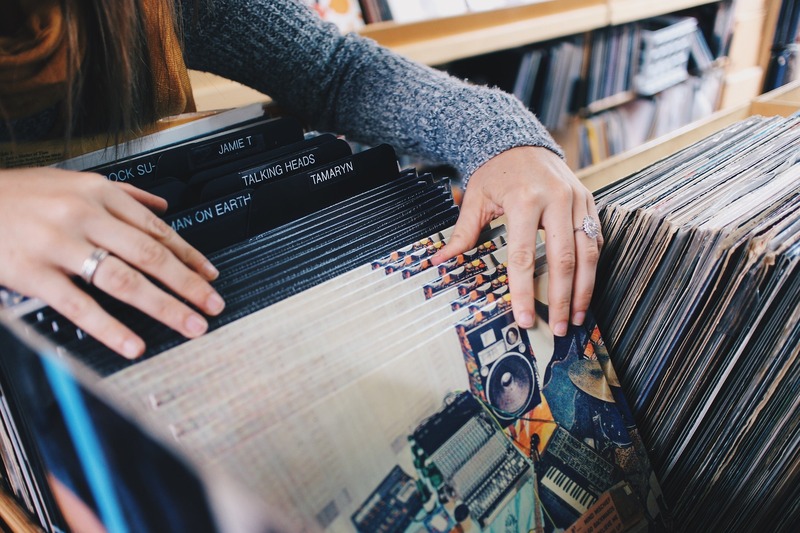 In this post, we’ve collected some of our favorite extensions for stores specializing in physical goods. Have a look and see if you find a new favorite! Resources are limited for many nonprofit organizations. It’s crucial for these companies to do their best work while making the most of what they have. Since WooCommerce is free to use, open source, and works with WordPress, it’s the platform of choice for many nonprofits. WooCommerce lets these businesses accept donations online, sell products to support their cause, or both. Building a robust, fully functional nonprofit website with WooCommerce isn’t hard — but you have to know what you really need. Which extensions will increase your donations, spread the word about your cause, and get more people involved with your organization? You don’t want to spend money on something only to find out it won’t help. In thise post, we’ve collected seven extensions that we think will help nonprofits using WooCommerce be more successful online. Keep reading to find out what they are and how you can start using them now. After you build your store and open it up to customers, your focus will shift to from generating sales to generating loyalty — and with good reason. As we explained previously, if you can get a customer to come back for a second purchase, the chances of them sticking with your store will dramatically increase. There are a ton of ways you can make shoppers loyal to one brand over another. Pricing is one angle you can take. An amazing customer support policy is another. But loyalty doesn’t have to rely on cheap prices or friendly emails. Occasional treats, payment flexibility, and friendly, open communication can turn your newest customers into lifetime ones. And with a few specific WooCommerce extensions, you can add these loyalty-boosters to your store in a flash — no custom code or development needed. Let’s take a look at seven extensions that you can start using today to boost the loyalty of your shoppers. WooCommerce is fairly flexible out of the box, giving you the ability to sell multiple product types and deliver them many ways. However, the goods you’re selling may require advanced customization, you might want to ask your customers for more information at checkout, or you might be ready to start experimenting with pricing and discounts. If you need to go beyond what’s baked-in, that’s where our WooCommerce extensions come into play. These free or paid add-ons extend the functionality of WooCommerce, giving you the power to sell new product types, enhance your store’s performance, and more. There are quite a lot of extensions that you might want to try — here are ten powerful extensions we recommend for new WooCommerce stores. TL;DR: Product Vendors version 2.0 has arrived! You can upgrade via your WordPress dashboard or download it from your My Account dashboard. Remember to make a backup of your store before installing the update. Enjoy! 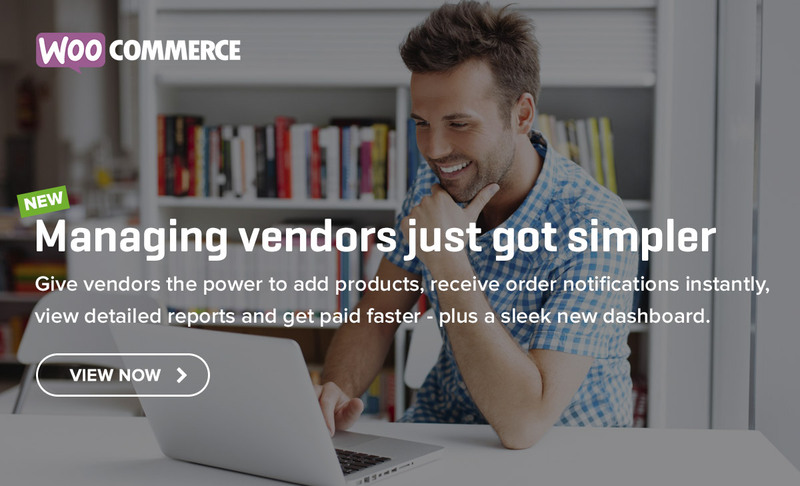 With the Product Vendors extension for WooCommerce, store owners can instantly transform any shop into a multi-vendor marketplace, complete with multiple vendors, products, and payout settings. With today’s release of Product Vendors version 2.0, we’ve added new features that make running a marketplace site even simpler. From a new vendor sign-up form to built-in per-product shipping settings to improvements to commission and payout settings, this update is designed to save you time while giving your vendors even more options. With Product Vendors 2.0, managing your vendors is a simpler, faster process. Keep reading to learn about all the exciting changes we’ve packed into 2.0 and how they can help you grow your store. Your customers’ wants and needs are complex, however. In the long run, far more matters to them than finding the store with the fastest shipping. Loyalty isn’t just inspired by efficiency and price — it can be dramatically influenced by how well you treat the people who shop with you. Don’t forget, a person’s greatest emotional need is to feel appreciated. — H. Jackson Brown Jr.
Read on to learn about all the ways you can show a little more kindness, and the WooCommerce extensions you can use to make this possible.